It is important to identify any environmental standards that potentially apply to the project in order to be able to meet their demands and demonstrate compliance. (Note that ‘standards’ in this context includes legislation, agreements, MOD policies and strategies). Details of how compliance is achieved shall also be recorded. The completed Form EMP03/F/01 – Register of Environmental Standards should be used to detail this. Other projects or platforms with which the project may be closely associated. Information regarding potential environmental issues need not be detailed at this stage. The duty holder shall be able to produce a preliminary list which may use simple terms such as: air emissions, emissions to water, emissions to land or resource use. This will help identify the regulatory framework and requirements. With regard to the transfer of equipment to other agencies or if equipment is to be sold, it should be recognised that duty of care, especially in respect to harmful substances, will endure beyond ownership. The ‘polluter pays’ principle will apply ad infinitum, wherever and to whomever the equipment is subsequently transferred. Therefore, restricted materials, and the legislation pertaining to any potentially harmful substance, shall be captured in Form EMP03/F/01. 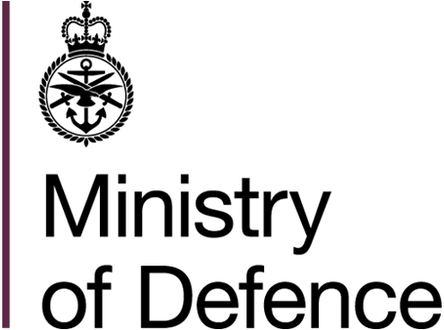 MOD Environmental Policy commitment, strategy commitments and internal regulation. Form EMP03/F/01 - Register of Environmental Standards, shall be used to list and document these standards for each of the life cycle stages. If the Project Team proposes using an alternative approach to recording environmental standards, this will require agreement from QSEP. It is expected that in the majority of cases required inputs will be adequate for identifying relevant legislation. However, gaps and omissions may occur and in particularly sensitive cases the duty holder may wish to have assurance that any listing is comprehensive. Where operations or activities are planned overseas, the Register of Environmental Standards shall be expanded to include this. When identifying environmental standards consideration shall be given to future environmental legislation within the boundaries of the project. OC’s and Defence Regulators can be a useful source of information as can a number of external environmental legislation update services. The Sustainable Procurement Guide and Toolkit; can assist with identifying legislation related to wider sustainability matters that will be relevant to the PSS. Project assessed as partially or non-compliant: If the SQEP assess that a project is non-compliant, actions shall be established and recorded in order to achieve compliance. If it is agreed that compliance is not possible the appropriate regulator must be contacted for guidance. Where contact with external regulators is required QSEP must be consulted in the first instance. It should be noted that only a regulator can determine if a project is compliant or not. Therefore, consultation between project team and the relevant regulator must occur. Projects can determine a level of confidence in compliance and present a body of evidence in respect of that to provide assurance to stakeholders. The compliance argument shall be proportionate and relative to anticipated environmental impacts. For example, a relatively concise argument is entirely acceptable where the project is environmentally benign or its impacts and risks are small when compared to domestic household activity. Conversely, a full, complete and well evidenced compliance argument is necessary where significant environmental impacts are anticipated. Provide evidence to underpin the claim that appropriate measures are being taken. Original Equipment Manufacture supplied information. Provide evidence of the measures that are in place. Details of how compliance with Regulations and Standards is maintained shall be summarised in Form EMP03/F/01 - Register of Environmental Standards, and detailed explanation of any compliance issues shall be described in the Environmental Case Report. The Project Team Leader is accountable for standards identification and demonstration of compliance. For new projects this procedure should be undertaken as early as possible in the Concept Stage, prior to Initial Gate approval. The outputs of this procedure will require periodic review and possible revision throughout the lifetime of the project. The appropriate timings for such reviews will be determined through following Procedure EMP09 - Continuous Review. Form EMP03/F/01 – Register of Environmental Standards. The Environmental Case Report shall record compliance requirements or descriptions and the compliance argument. What is the remaining length of time of the PSS projected service life? Has the legislation review highlighted a need for mitigation that has not already been put in place? Are there future plans for major modifications, capability enhancements or a change of operating environment? Have there been any legal compliance problems to date or issues with regulators? Has there been any stakeholder (particularly external to MOD) interest to date (for example Parliamentary Questions or enquiries regarding the equipments environmental performance)? Re-considering these questions should ensure that appropriate priorities are established for the legacy system and that the outputs from this procedure for legacy systems are neither over-engineered nor incomplete. For many legacy systems, with limited life, it is appropriate to concentrate on disposal arrangements and impacts especially where there is no evidence of environmental incidents or accidents associated with the system. If this procedure is not completed, and reviewed (see Procedure EMP09 – Continuous Review), in a timely manner there will be an increase in risk that subsequent work will go ahead with unrecognised environmental liabilities. Equally important is that a poor impact evaluation may cause Project Teams to expend unnecessary time and effort on issues which could be considered as insignificant. Any short comings in the application of this procedure could compromise Initial Gate procedures and approvals. In addition, short comings could also result in costly reworks, especially where opportunities to influence design decisions are missed. Update to ensure correct engagement protocol with external regulators. Addition of new content to para 3.2.1.4 to reflect the release of the Sustainable Procurement Tool to POEMS. See POEMS Transition document for fuirther details.